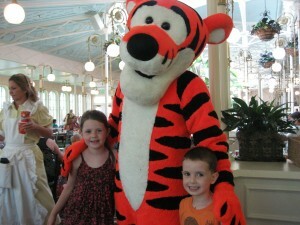 In May, earlier this year, we took a family trip to Disney World / Orlando, FL. 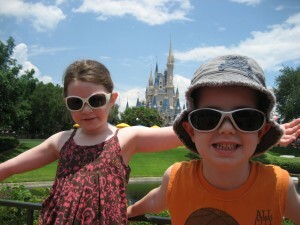 It was the first trip that ‘chele and I planned that was 100% for the kids. But somewhat to my surprise, it was a ton of fun for us all. 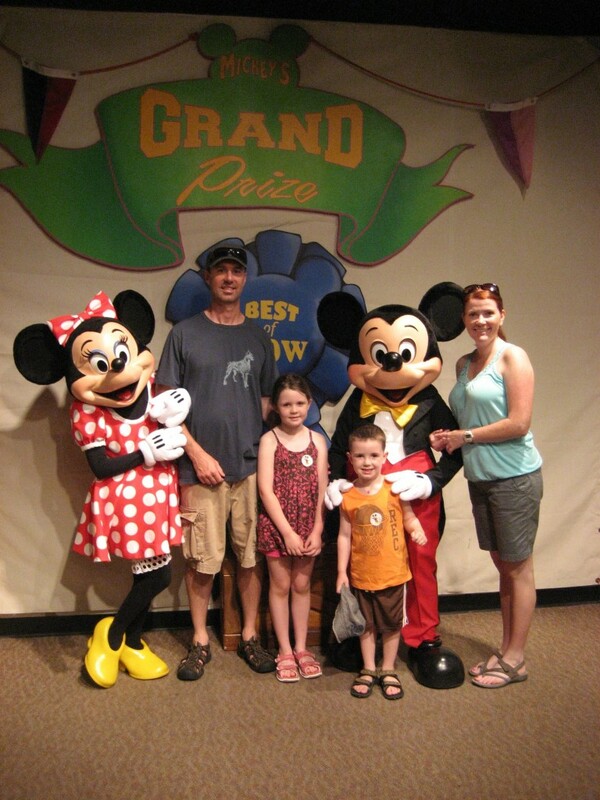 We didn’t have a budget in mind, all we knew was that we wanted to kids to have the experience while they were at this age, so we tended to pick thing that were at a mid-priced level. First good decision was pulling the kids out of school for a few days and going on a low traffic week. I shudder to think what those parks and the lines look like on peek weeks. Pool – very good, with a fun water slide. Food – very good variety and fresh food that didn’t feel like ‘quick service’ but was categorized that way for the meal plan. Bus – the hotel is ‘on property’, but not on the Tram-line, so a bus took us to the park. Waiting for the bus wasn’t fun, but didn’t cause any problems. Best investment of the week. It’s been years since our kids have been in strollers, but thisgave their little legs a needed break and allowed ‘chele and I just to walk and talk with each other and not worry about where they were. 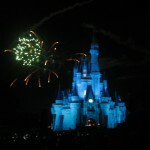 The fireworks were simply amazing, and I don’t throw that word around lightly. It’s a Small World – As old and as ‘simple’ as this ride is, it was the favorite for the kids. Same for me when I was 7. Kali River Rapids is a river raft ride that is a lot of fun, not too scary and you get a bit wet. I was underwhelmed by Animal Kingdom, but we did skip a few things and got caught in a scary lightening storm and downpour. Great place this EPCOT. 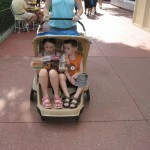 Again, the stroller was huge here. As well as the access to a few much needed beers. The Seas with Nemo & Friends was very good, with Turtle Talk with Crush being most entertaining. Buzz Lightyear Ride – Good for all ages. 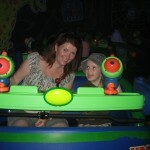 Mission: SPACE – Erin lost her marbles on this ride, but laughs about it now. Conor loved it. If you are claustrophobic, probably not for you. The animals in al. the shows were cool. 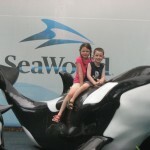 The Believe show with the killer whales was impressive, but the theatrics they try to produce miss the mark. They’d be better off focusing on the animals and steering away from the stuff that Disney does a lot better. Had lunch at Sharks Underwater Grill restaurant which was great. An entire wall of the restaurant is the shark tank, so sharks swim by every few seconds while you are chomping on your sandwich. No regrets from anyone. As much work as I’ve done with Disney over the years, I developed a new respect for what they are able to do with their parks, hotels and people. Will go back, but not for a few years. So many other places to go. 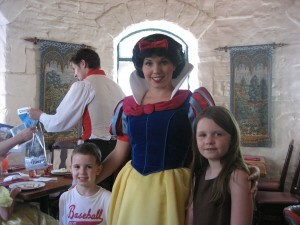 This entry was posted in personal and tagged disney, epcot, sea world, travel on August 20, 2010 by KB. Nice review Kev….If we ever venture down there….We'll use some of your advice! PS…I tried to subscribe via FB but it showed an error connecting to you…..DISQUS? i'm actually the relative no would would know about if it weren't for my wife!